A Whole New Way to Apply for the Latest Scholarship! 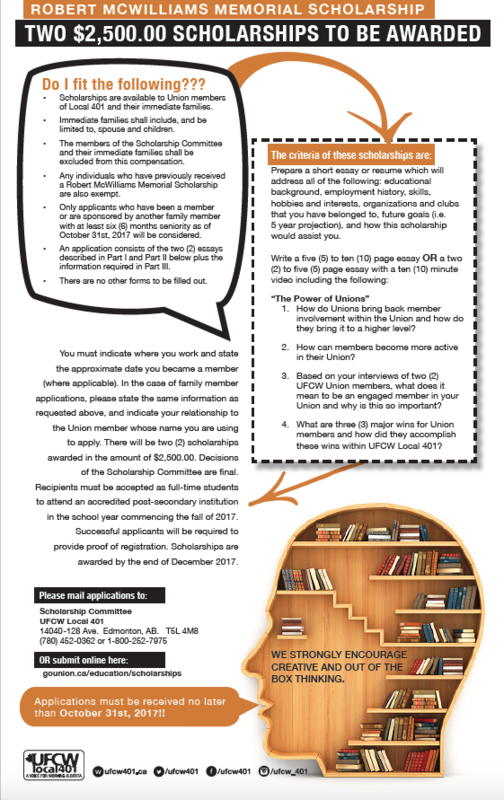 Do not miss out on this great opportunity to apply for one of our many scholarships for UFCW 401 members and their immediate families. This year, you can apply online PLUS you can also make a video submission if you prefer to roll that way.